Arudra darsanam is celebrate the month of Margazhi (December or January). This festival is observed with Lord Shiva which is represented by the Nataraja form. This festival comes the Thiruvathirai star date on the Month of Markazhi. 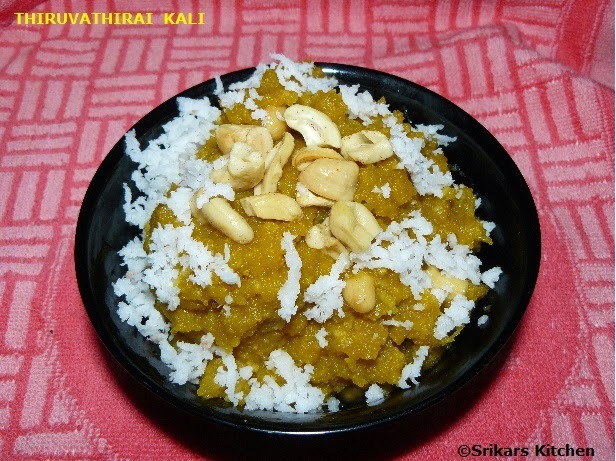 This Thiruvathirai kali & Ezhukari kootu is main Prasad on that day. Dry roast separately rice and moong dal until golden brown & blend it together into a coarse powder. In 4 cups of water , dissolve jaggery & stain. Boil the jaggery water with cardamon pods. Add coarse blended rice ,moong dal in the jaggery liquid & allow to cook until done. Add grated coconut & mix well. Heat ghee in a pan, add cashew nuts, chopped coconut roast until golden brown & add to the Kali. This is new to me..sounds great and looks so delicious.. Perfect kali recipe. Looks very tasty too. Kali looks healthy and nutritious..yumm! Kali and kootu for thiruvadirai is my favorite..kali looks nice.. It looks really tasty. Great Recipe!! 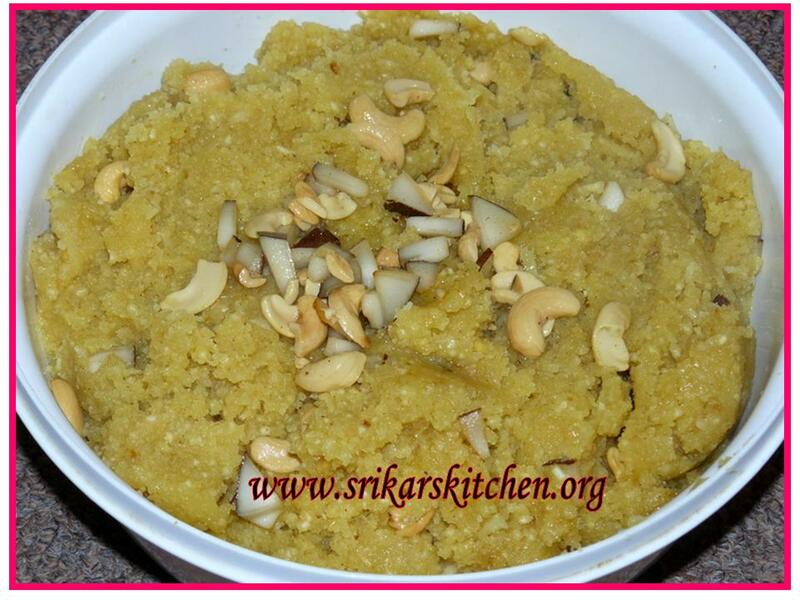 This halwa looks delicious .Nice click. Good one yaa, looks yumm!